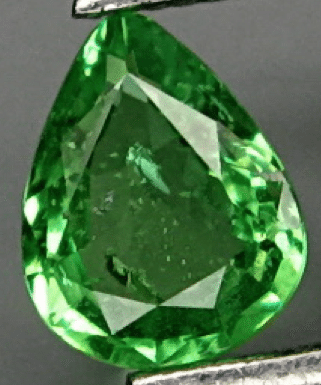 This is a rare natural green garnet loose gemstone also called Tsavorite, mined in Africa in the region of the river Tsavo on the border between Kenya and Tanzania, this beautiful and rare gemstone is untreated, and has a great bright green color hue, wuth good medium saturation. 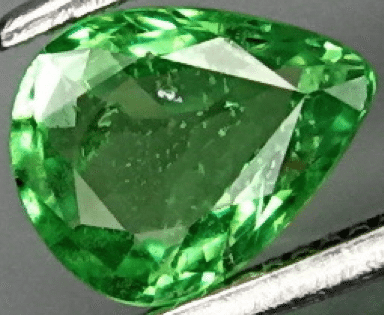 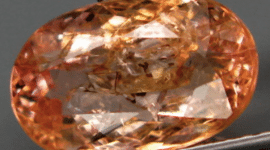 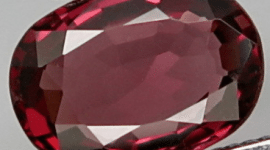 This green garnet Tsavorite has some minor visible inclusions that don’t compromise the clarity and the beauty of this gem, that has a nice luster. 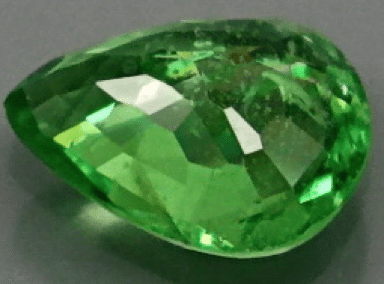 Cut in a pear shape this tsavorite loose gemstone is very attractive, and will be perfect set in a jewel like a pendant or a gold ring. 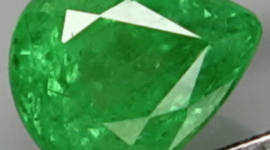 Tsavorite is the natural only emerald alternative. 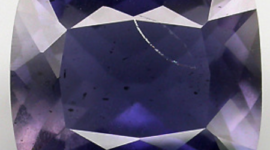 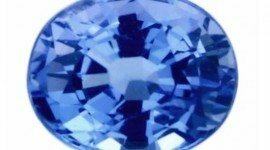 Dimensions: 6 X 4.5 x 2.2 mm.